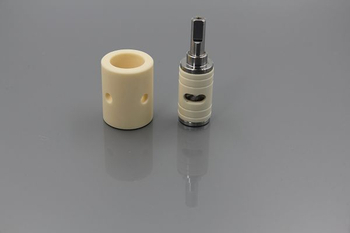 Ceramic plungers work exceptionally well for most saltwater, chemical, and metering applications. Lonci plungers exhibit extreme corrosion resistance and is available in hollow ceramic or solid ceramic designs. When corrosion and abrasion resistance are required and extended packing life is needed, ceramic plungers are unequaled in performance. Contact one of our specialists for specific application information.